Hey there, everyone! 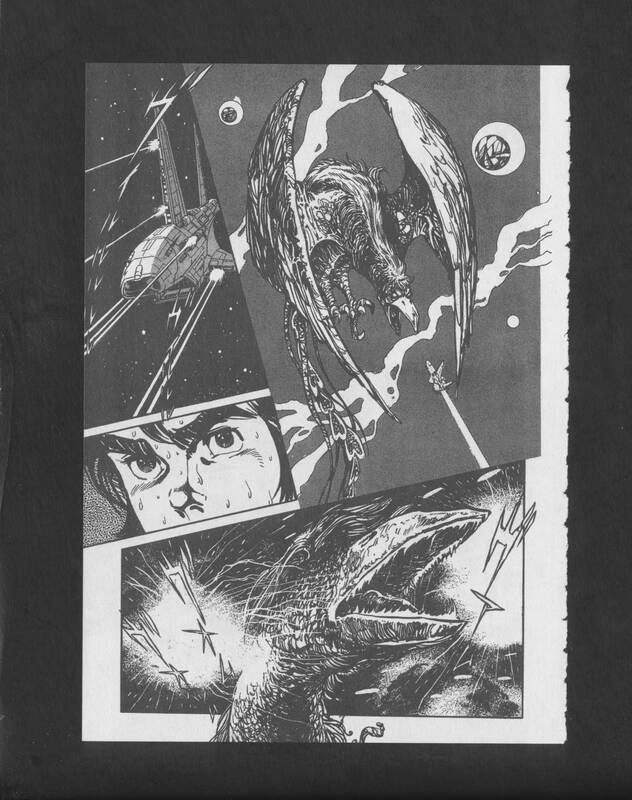 Well, I’ve been busy scanning a lot of Devilman Saga, so I haven’t had time to scan much else in. However, I did de-bind this book a while ago, and kept meaning to scan it in and post it. Well, after a lot of delays, here it is! I’m sure you all know by now how much of a fan I am of Satomi Mikuriya. 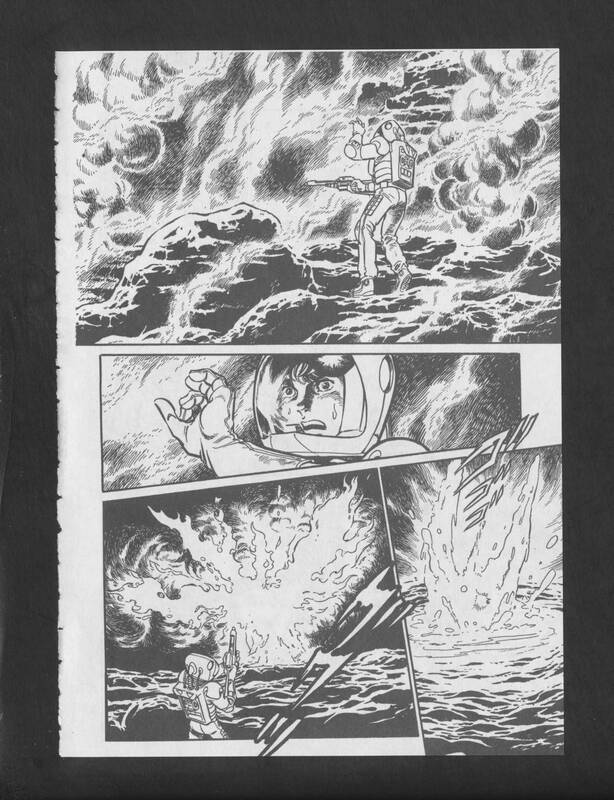 However, I am also, of course, a fan of Osamu Tezuka… especially when it comes to The Phoenix, which may very well be my favorite work of his. 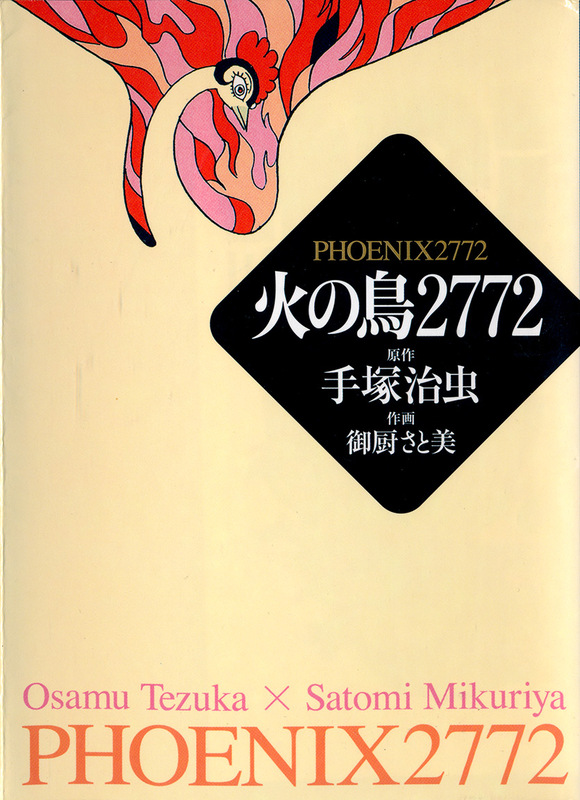 Well, this is a 1-volume spin-off from 1980, which is a collaboration between the two authors, based on the 1980 theatrical film Phoenix 2772: CosmoZone of Love (Hi no Tori 2772: Ai no Cosmozone, also released in English under the hilarious title “Space Firebird 2772”) which Mikuriya-san did the mecha designs for. 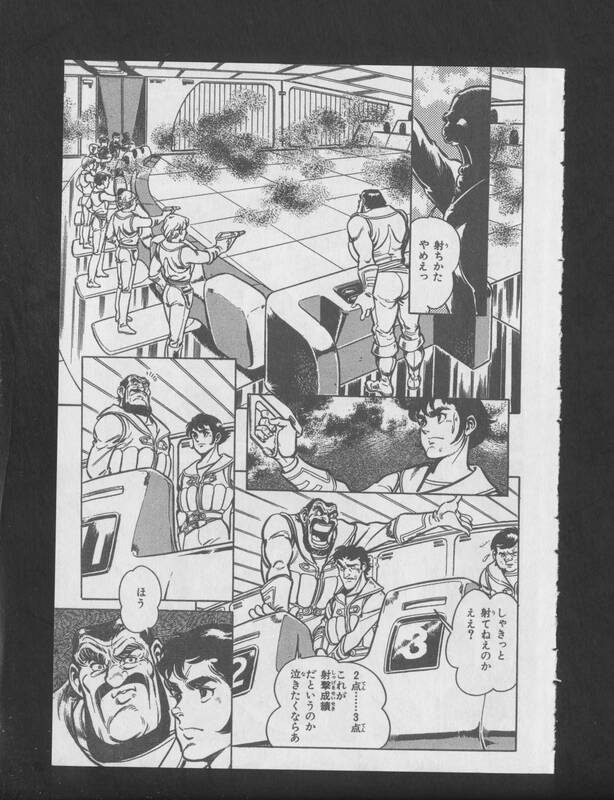 This is definitely a scan that I’m pretty excited to get out there into people’s hands, just for the simple fact that it’s kind of rare, as it was initially only released in magazine format in 1980, and wasn’t released in tankoban format until October 2007. 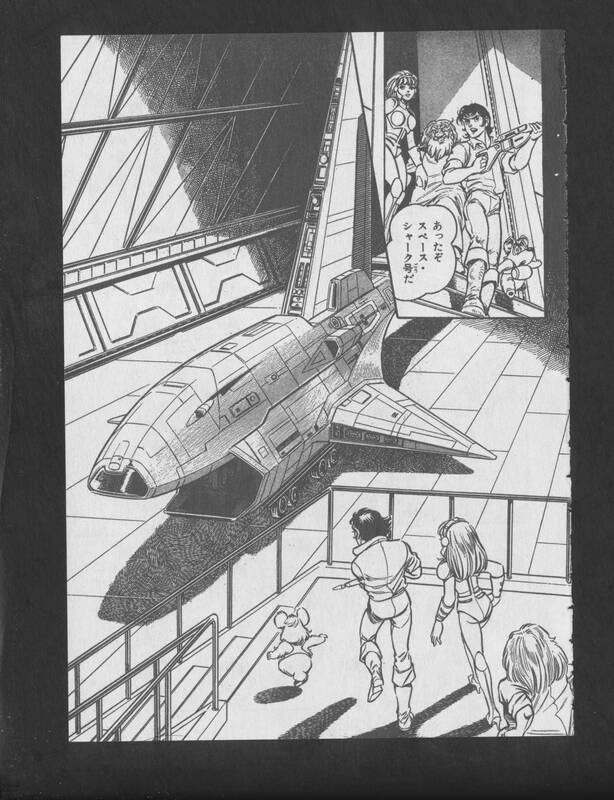 The tankoban is smaller than average (I believe it’s A6 instead of A5), which is why you may notice the resolution of the files is a bit smaller than average for 600dpi. On top of that, going forward I’ll be reducing the resolution of the JPG files by 50%, which should allow translators to download and translate things much quicker, while still providing editors with lossless 600dpi TIF files. Anyway, you can find a link to the download folder below, as well as some preview images. 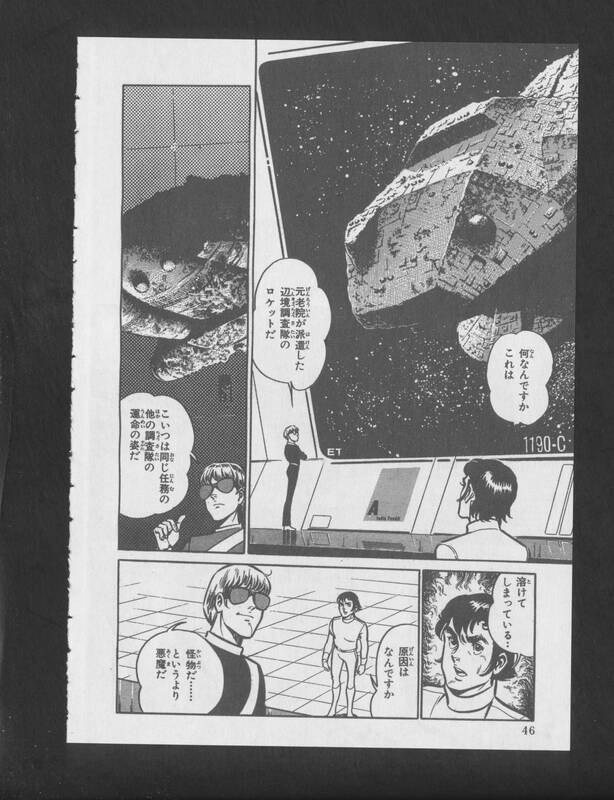 Hope you all enjoy this, and if any translators are interested in translating this volume into English, feel free to contact me about cleaning & typesetting. 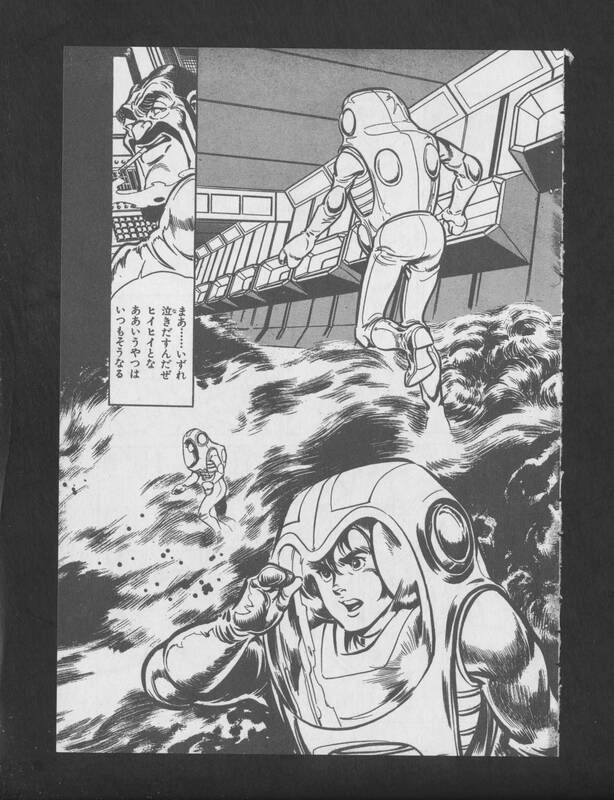 This entry was posted in Raw Japanese Scans, Releases and tagged 1980s, Asahi Sonorama, Manga Shounen, MIKURIYA Satomi, TEZUKA Osamu.